This is only half of the Cubes. And Yes, that is my sonic screwdriver on the shelf. I was using it to change tracks on my imac while i was working. 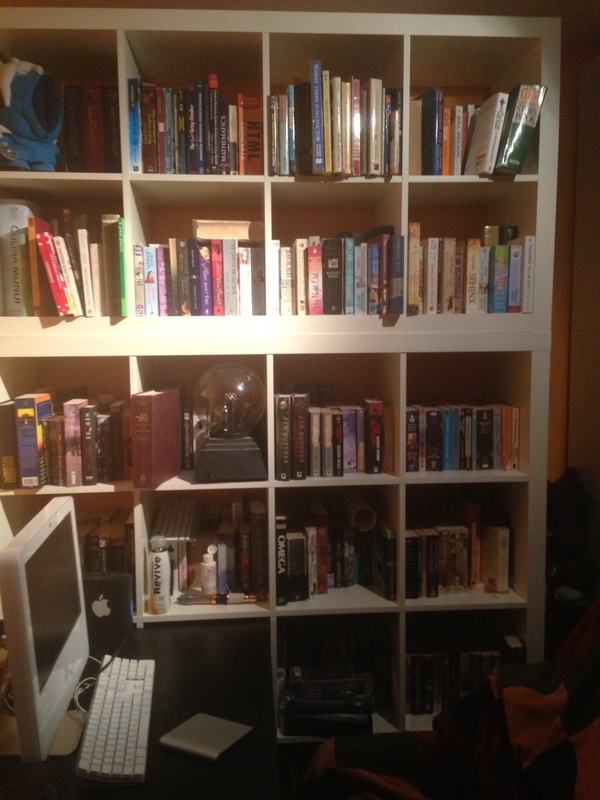 Well, That and 2,500 bookplates, some RFID tags, And a set of Dewey Decimal Labels for the shelves…. pom pom pom pom pom pom pom!! !